How much can you save on a short sale in Genoa City, WI? 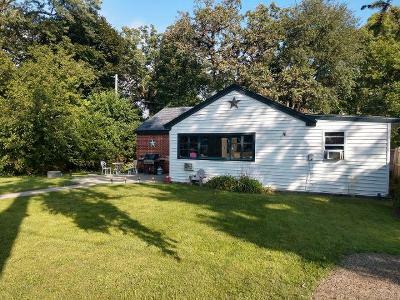 The short sale process in Genoa City, WI, for a buyer can be very profitable if the situation includes a motivated seller and a cooperative lender. Find the best short sale homes and bank-approved listings available in Genoa City, WI, at Foreclosure.com today for as much as 75% off market value. There are currently 1 short sale homes in Genoa City, WI, available for potential sale right now. Get the most current list of short sale listings in Genoa City, WI — and the information and tools to buy them fast — at Foreclosure.com. Genoa City is a village located in Kenosha and Walworth Counties in the U.S. state of Wisconsin, 43 mi (69 km) south-southwest of Milwaukee. The population was 3,042 at the 2010 census. Of this, 3,036 were in Walworth County, and only 6 were in Kenosha County. It was named after Genoa, New York, which was named after Genoa in Italy. Genoa City is located at 42°30′13″N 88°19′34″W (42.503612, -88.326063). According to the United States Census Bureau, the village has a total area of 2.34 square miles (6.06 km2), all of it land. As of the census of 2010, there were 3,042 people, 1,072 households, and 784 families residing in the village. The population density was 1,300.0 inhabitants per square mile (501.9/km2). There were 1,178 housing units at an average density of 503.4 per square mile (194.4/km2). The racial makeup of the village was 95.4% White, 0.7% African American, 0.3% Native American, 0.4% Asian, 1.9% from other races, and 1.3% from two or more races. Hispanic or Latino of any race were 6.5% of the population. There were 1,072 households of which 47.3% had children under the age of 18 living with them, 55.2% were married couples living together, 11.6% had a female householder with no husband present, 6.3% had a male householder with no wife present, and 26.9% were non-families. 21.3% of all households were made up of individuals and 6.6% had someone living alone who was 65 years of age or older. There are currently 1 red-hot tax lien listings in Genoa City, WI.